Where else in the world can you drive four hours and surf the coast, hike beneath waterfalls in a temperate rain forest, cycle across a high desert and camp in a Forest Service hut beneath a ponderosa canopy? Oregon is an amazing state, and it attracts creative people who lead interesting lives. We’re pioneers in the sustainable movement, we’re bike geeks and techies, Native Americans and cowboys, financiers and vintners. We’re urban, suburban, rural and ranch. In the year 1859, Oregon was admitted to the Union as its 33rd state. In 2009, Oregon’s first statewide cultural magazine was born with 1859. Originally a quarterly publication, 1859 transitioned to a bi-monthly magazine with the July | August 2012 issue. In an intelligent and beautiful format, 1859 explores the landscapes, the personalities, the movers and shakers, the history and the architecture that is the jewel of the Pacific Northwest. 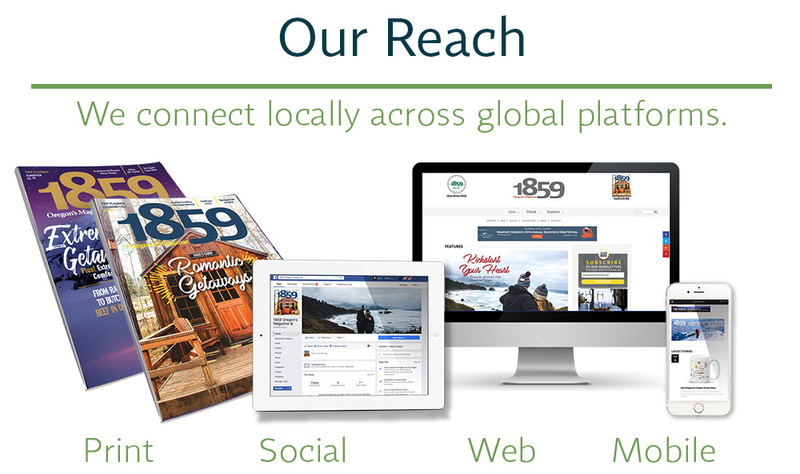 Join the 1859 community on social media. We know Oregonians. 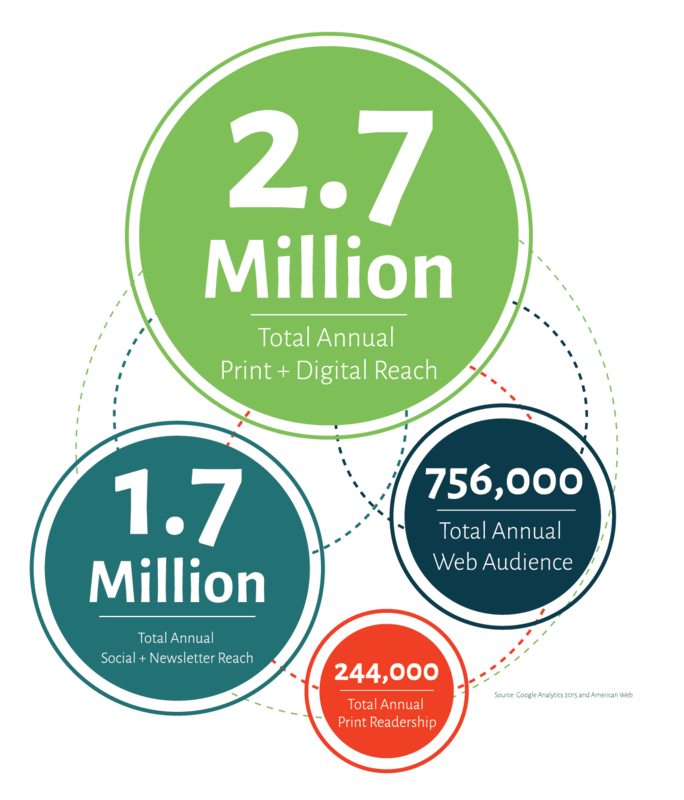 Let’s work together to reach your audience.